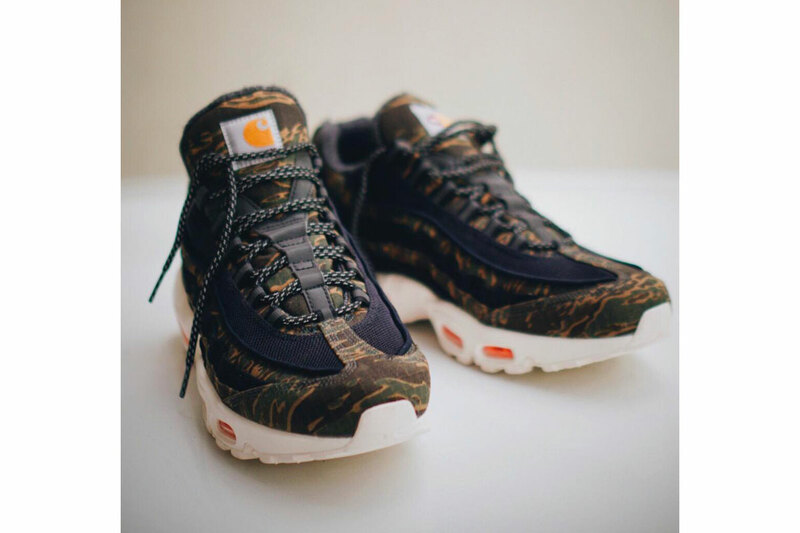 Shortly after receiving a release date, we now have a first look at the Air Max 95 colorway from the upcoming Carhartt x Nike collab. Like the Air Force 1 and Vandal High Supreme looks that have already surfaced, the design of the AM95 is centered around elements ported over from the workwear label’s rugged garment offerings. The upper of the shoe looks to be constructed of a mixture of black woven duck canvas and camouflage printed ripstop accompanied by choice hits of smooth reflective material at the tongue. Additional Carhartt detailing comes in the form of a signature square logo on the left tongue, work boot-style laces and high-visibility orange dressing the visible Air unit embedded in the off white colored midsole. Take a first look at the Carhartt x Nike Air Max 95 above and expect the collaborative pack to release December 6. Epic Games just secured a $1.25 Billion USD investment.